Zurita earned an Associate in Science degree at Nash Community College in 2017. In 2018, she graduated among NCC’s first student cohort earning an Associate in Engineering degree. 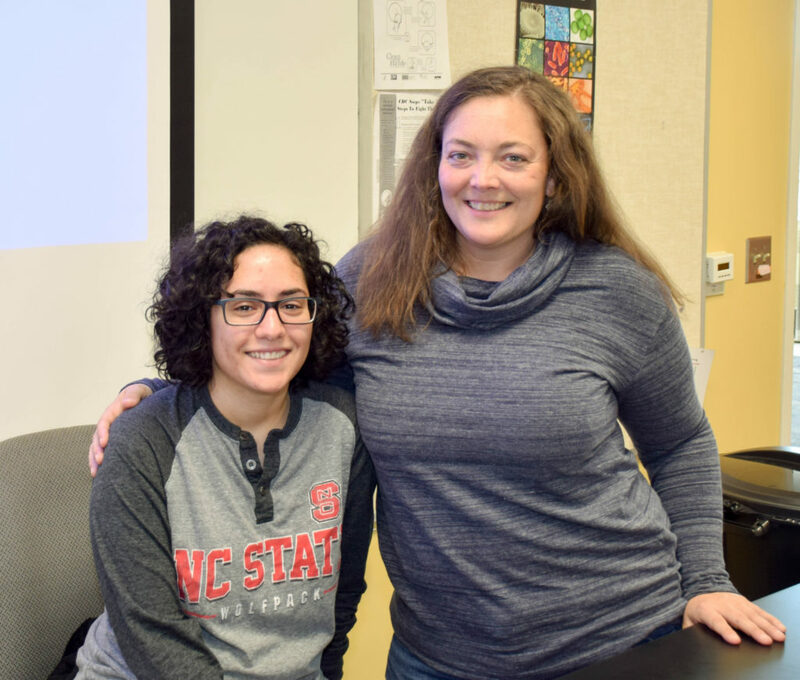 She told students about her transition from Nash Community College into North Carolina State University where she is studying Environmental Technology & Management with plans to graduate in 2021. A native of Rocky Mount, Adriana Cabrera Zurita is one of two NCC alumnae currently enrolled at NCSU as Goodnight Scholars. 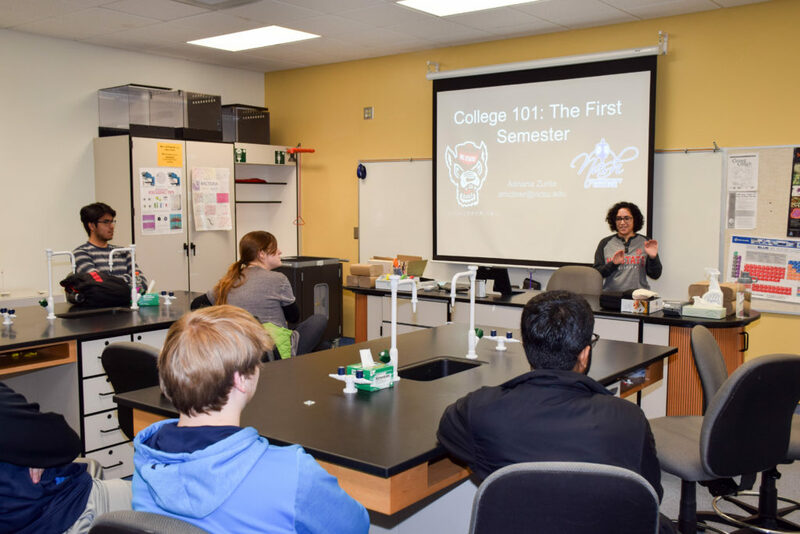 The program is for North Carolina residents who aspire to study in a science, technology, engineering, mathematics or STEM education discipline at NC State. The value of the scholarship is $20,000 and is renewable for up to four years for first-year students ($80,000 total), and three years for transfer students ($60,000 total). Nash Community College has 55 students pursuing the Associate in Engineering degree. Most graduates will major in a branch of Engineering such as Electrical, Civil, BioMedical, or Mechanical at a partner university. However, the Associate in Engineering degree prepares individuals interested in majoring in Physics or Mathematics. For more information, please call 252-451-8398.